Dr. Slava Epelman is a clinician-scientist with expertise in cardiology and immunology. His research focuses on how the body’s immune system contributes to damage after the heart is injured, and its potential in repairing that damage. In 2016, Dr. Epelman received one of the Ted Rogers Centre’s initial Innovation Fund awards for the work described in this story. 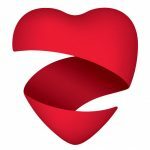 “Cardiac Connections” is a video series that profiles unique collaborations and novel research underway within the Ted Rogers Centre for Heart Research.